Radiation Oncology Consultants, Inc. is a Physician's Specialty Group based in Tulsa, Oklahoma. We have been a premier group since our inception in 1992. Radiation therapy has proven effective in the treatment of a wide range of cancer types and cancer sites. As one of the primary cancer treatments available, radiation therapy has assisted in the dramatic increase in the overall cure rate for cancer over the past 20 years. Between 50 and 60 percent of all cancer patients are treated with radiation therapy. There are an estimated 20 million radiation therapy treatments given annually. Radiation therapy treatments are delivered by a team which is supervised by the Radiation Oncologist, a medical doctor who specializes in the delivery of cancer care using radiation. All of the physicians delivering care for Radiation Oncology Consultants are certified in this specialty by the American Board of Radiology. Diane M. Heaton. M.D. Dr. Heaton completed medical school in 1988 at the University of lllinois. She compteted residency training at Rush Presbyterian St. Luke's Hospital in Chicago in 1992. She was an Assistant Professor in the section of Radiation Oncology at the University of Tennessee Center for the Health Sciences in Memphis until November 1993. She also held a position as a physician in the Department of Radiation Oncology at St. Jude Children's Research Hospital in Memphis for one and a half years. She was at St. John from 1994-2006. 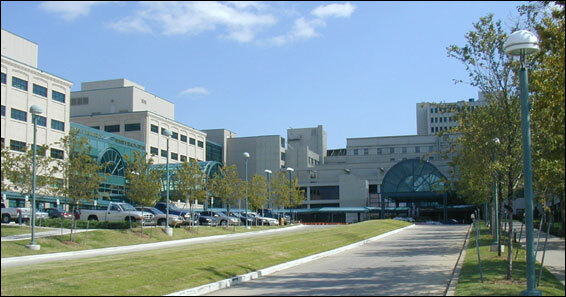 Dr. Heaton is now practicing at Hillcrest Medical Center. Our patients often receive other treatments such as chemotherapy, hormone therapy or surgery as well as radiation therapy. To ensure the best possible outcome, this multi-disciplinary approach requires collaboration and coordination among the specialists on a patient's treatment team. Therefore, during your first visit you will meet with your radiation oncologist and a nurse practitioner. Your radiation oncologist may consult with any other specialists as necessary before your treatment begins to determine the best course of action. In addition, other members of the Cancer Center may be brought in to better help you successfully manage your treatment.